Historically, modern expedition cruising goes back to Lindblad’s Antarctic cruises of the 1960s, while in our region, Coral Princess Cruises founder, Tony Briggs was one of the first to offer extended cruises on the Great Barrier Reef with a converted, Fairmile-class, WWII-era submarine chaser in the early 1980s. Today, small ship, adventure-themed cruises abound and many new operators are capitalising on the abundant scenic and natural wealth of our coastline from the Kimberley to Tasmania. But while WA’s Kimberley enjoys solid capacities, some of our other regions do not. Initially the repositioning sector from Cairns to Kimberley was developed to incorporate Arnhem Land and Cape York expeditions, but these cruises have sometimes struggled to attract viable numbers. 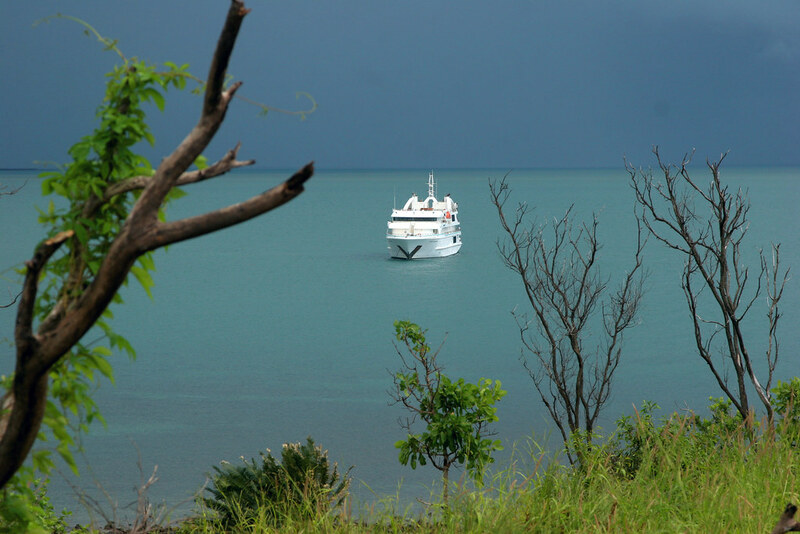 Kimberley region stalwarts, North Star Cruises, have deleted their “Over the Top” itinerary in favour of an ambitious West Papuan itinerary for 2009. Their first exploration is fully booked with loyal past passengers, leaving just Orion and Coral Princess to operate this region. Orion offers similar expeditions, instead split into two products; the 7-night “Art of Arnhem Land” and the 5-night “Tropical Reefs and Culture” from Thursday Island to Cairns. Orions’ fares begin at about $700pp per night, while Coral Princess are slightly cheaper.